We are one of the very few repair companies in Las Vegas to specialize in luxury appliances and Summit Appliance repair. As fellow admirers of cutting-edge tech and engineering, we loving getting calls for Summit appliances and refrigerators especially, their built-in fridges and wine coolers. With over 15 years of experience each, all of our appliance repair technicians can fix pretty much any appliance including all luxury appliances as well as import brands. From new Summit wine coolers and refrigerators to built-in outdoor fridges and stoves. We always offer fast same day service and have the team plus, locations to guarantee it. Summit is quickly becoming a classic among luxury and European names in appliances and will soon be sought after like Viking or Subzero for its quality and long term reliability as well as its sleek styling and design. Summit also has many unique features incorporated within all of their refrigeration units particularly their wine coolers. But no matter what type of Summit appliance you have or what the issue is- we can fix it. One call will always handle it all with our appliance repair pro's. In addition, our call-out fee and diagnostic fees are half the price of our leading competitors but with double the years of experience. Plus, we warranty as well as guarantee all of our repair work. With a veteran-owned and operated company you never have anything to worry about with us. We also service the entire Las Vegas metro area including Summerlin, North Las Vegas, Enterprise, Henderson and also all Boulder City 24 hours a day including most holidays (except Christmas). Please feel free to text, email or give us a call anytime and trust only the best to repair your Summit appliance- EZ Fix Appliance Repair. We can Repair Your Summit Appliance. Give us a call today and trust EZ Fix to repair your Refrigerator or Freezer! Summit manufactures some of the best built-in wine coolers and refrigerators on the market. You should only trust the best with these types of luxury units because it is easy to make a simple problem worse. 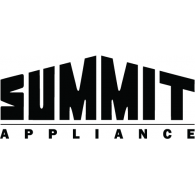 We do dot have every single Summit part on the market but, we are one of only a handful of repair companies in Vegas to carry many common Summit refrigerator and freezer replacement parts. We will also double and triple check that your water filter is up-to-date and in fine working order. The EPA has strict guidelines to ensure you and your family's safety for consuming clean drinking water.